Pratana Coffee Talk: WHAT MAKES US INTROVERT AND EXTROVERT? WHAT MAKES US INTROVERT AND EXTROVERT? Why do some people prefer adventure and the company of others, while others favour being alone? It’s all to do with how your brain processes rewards. Will you spend Saturday night in a crowded bar, or curled up with a good book? Is your ideal holiday adventure sports with a large group of mates and, or anywhere more sedate destination with a few good friends? Maybe your answers to these questions are clear – you'd love one option and hate another – or maybe you find yourself somewhere between the two extremes. Whatever your answers, the origin of your feelings may lie in how your brain responds to rewards. In the 1960s, psychologist Hans Eysenck made the influential proposal that extroverts were defined by having a chronically lower level of arousal. Arousal, in the physiological sense, is the extent to which our bodies and minds are alert and ready to respond to stimulation. This varies for us all throughout the day (for example, as I move from asleep to awake, usually via few cups of coffee) and in different circumstances (for example, cycling through the rush-hour keeps you on your toes, heightening arousal, whereas a particularly warm lecture theatre tends to lower your arousal). Eysenck's theory was that extroverts have just a slightly lower basic rate of arousal. The effect is that they need to work a little harder to get themselves up to the level others find normal and pleasant without doing anything. Hence the need for company, seeking out novel experiences and risks. Conversely, highly introverted individuals find themselves overstimulated by things others might find merely pleasantly exciting or engaging. Hence they seek out quiet conversations about important topics, solitary pursuits and predictable environments. Researchers lead by Michael Cohen, now of the University of Amsterdam, were able to test these ideas in a paper published in 2005. They asked participants to perform a gambling task while in the brain scanner. Before they went in the scanner each participant filled out a personality profile and contributed a mouth swab for genetic analysis. Analysis of the imaging data showed how the brain activity differed between extroverted volunteers and introverted ones. When the gambles they took paid off, the more extroverted group showed a stronger response in two crucial brain regions: the amygdala and the nucleus accumbens. 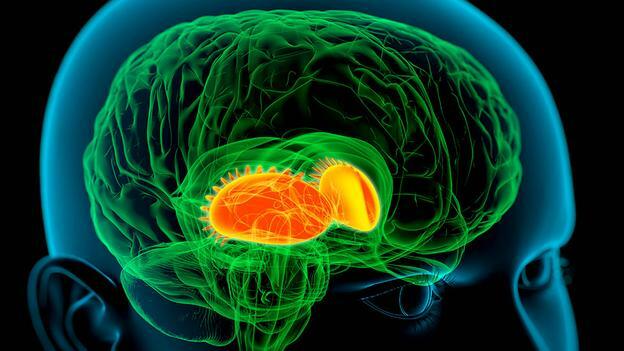 The amygdala is known for processing emotional stimuli, and the nucleus accumbens is a key part of the brain's reward circuitry and part of the dopamine system. The results confirm the theory – extroverts process surprising rewards differently. When Cohen's group looked at the genetic profiles of the participants, they found another difference in reward-related brain activity. Those volunteers who had a gene known to increase the responsiveness of the dopamine system also showed increased activity when they won a gamble. So here we see part of the puzzle of why we're all different in this way. Extrovert's brains respond more strongly when gambles pay off. Obviously they are going to enjoy adventure sports more, or social adventures like meeting new people more. Part of this difference is genetic, resulting from the way our genes shape and develop our brains. Other results confirm that dopamine function is key to this – so, for example, genes that control dopamine function predict personality differences in how much people enjoy the unfamiliar and actively seek out novelty. Other results show how extroverts learn differently, in keeping with a heighted sensitivity to rewards due to their reactive dopamine systems.